What you see is what you get with No Salvation. Here. Yeah, that's pretty stark. It's also no-frills and hardscrabble, hones-to-goodness punk with a heavy side of Americana. The soaring opener, "Highwater Chevy," will be in the back of your mind for the next month. These are songs about watching the Rust Belt molder away. For the rest of us, we can pin them on to ideals (or idealism, but hopefully not) that slowly fade away. 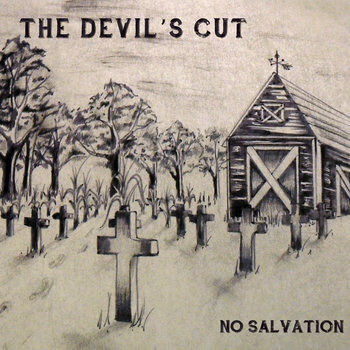 The Devil's Cut makes it sound damn good. This is one of the few albums so far this year that I keep coming back to.